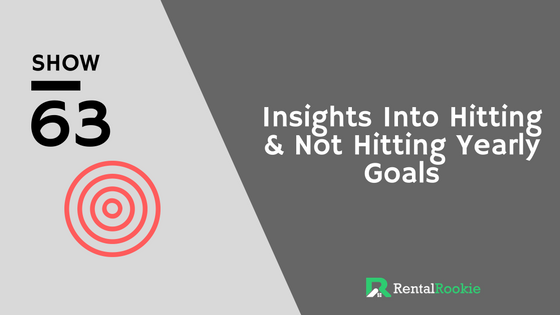 In the final show of the year, Kirk and Emily take time to reflect upon their real estate goals for 2016 addressing the goals they hit, the ones they missed and most importantly thinking about why they missed the goals they had set. For us, goal setting is so important and while we focus hard on working toward hitting our goals...we are only human. Sometimes life gets in the way or we get in our own way and don't hit the mark. Join us in taking time to reflect on the year and we hope to inspire you in your own journey of self reflection and hope to help you refocus for the coming year ahead.